It's that time again! I've loved doing these posts over the past few months and it would seem that you are all enjoying them too so I'm continuing them by doing another this month, it's time to delve into my graze box for the 4th time. 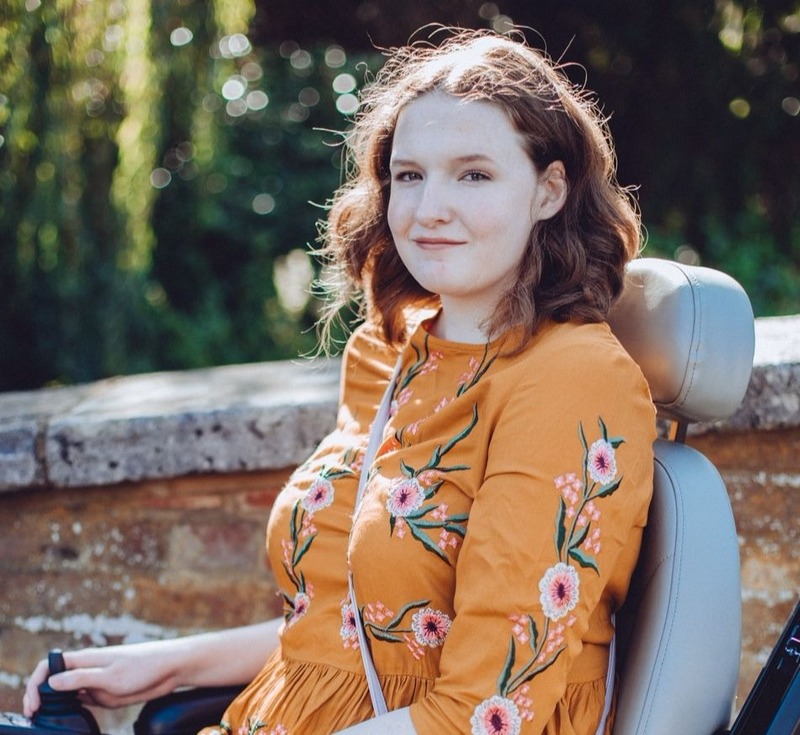 This month I got some of my favourites to snack on and something new to try which is the perfect balance for me when it comes to finding out what yummy treats graze have sent over this time. You should have seen my Mum's face when she saw that I had this in my box, I think next time I receive it I might have to perhaps let her try it! We are both a fan of bakewell tarts so I was pretty happy to find this in my box, I'm still not 100% sure if I've had it before though. What I do know however is that it was so tasty, I'm not too sure about having the compote with it but then I never have anything like that with cake anyway, it was nice but I just didn't like the combination of the two. The raspberry bakewell itself was really good, it wasn't dry at all and it had plenty of almond flakes in it which I loved. It makes the perfect little afternoon snack! When I saw this in my box I had a pretty good feeling that it wasn't going to be my thing as I really do not like sweet chilli sauce. I passed this on to my sister who loves sweet chilli and she said she really enjoyed this snack so don't let my hate for the sauce put you off! The best part is that I know I won't receive this again as I rated it 'bin' on my graze account, I think that is definitely one of my favourite parts about graze. I've received this snack several times now and each time I have it I'm sure it tastes better and better. 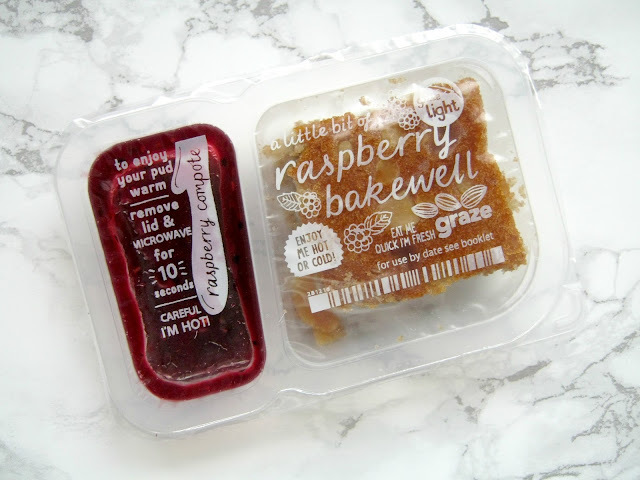 I think perhaps this might be my favourite graze snack ever, if I could bulk order these I definitely would! It is by far the best brownie I've ever had and the whole snack is only 110 calories so it is something you can enjoy even if you prefer to stick to a very healthy diet! 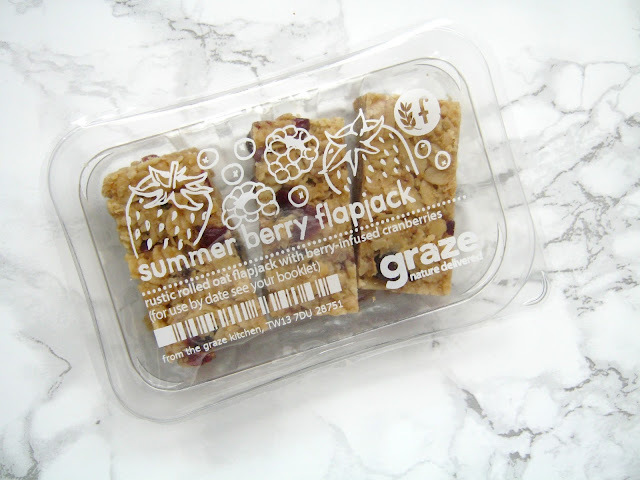 Finally the last snack is one that again I've had before and I always rave about, the graze flapjacks are so good and the perfect size for a quick snack. I don't think this one is my favourite but it is still very tasty and I like that it has cranberries in as most berry flapjacks I've seen don't always have them in and especially not on their own. I'm always reaching for the chocolate topped flapjacks in shops as well so it is nice to have something a little different and healthier every now and then! That's it for this month! I'm going to try and do these posts a little more regularly from now on, perhaps twice a month since everyone seems to be enjoying them so much and I just love eating snacks! If you want to try Graze then you can get your 1st, 5th and 10th box for free with the code: SHONAC1HB. 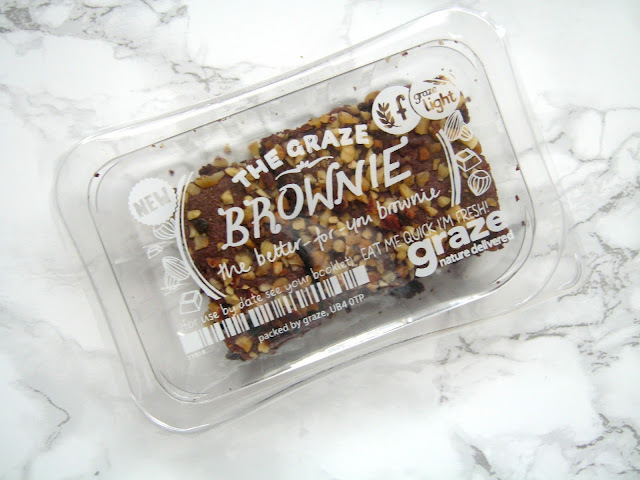 I'm a graze ambassador which means every now and then the lovely team send me some snacks to try out, however I'm always truthful and graze is a brand that I have truly loved for ages now! You've got some lovely snacks there, I ordered a light box the other day and I'm so excited for it to arrive! OMG I'm a bakewell fiend too! I love graze boxes, really glad you can pick some of the stuff up in shops now! 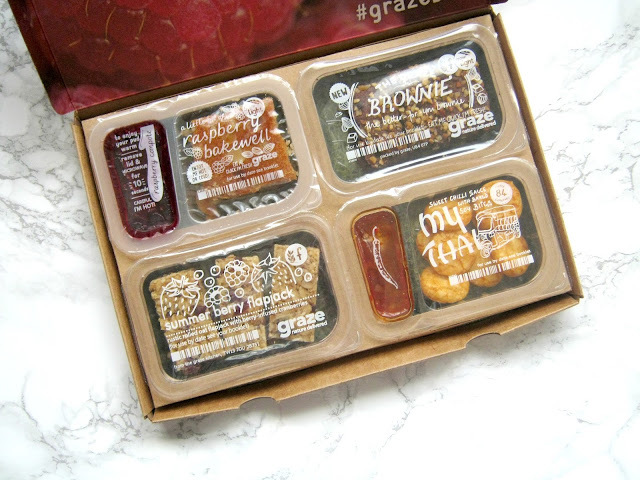 I used to get the grazebox every week a while ago and I just loved the surprise of a snack every week !!! 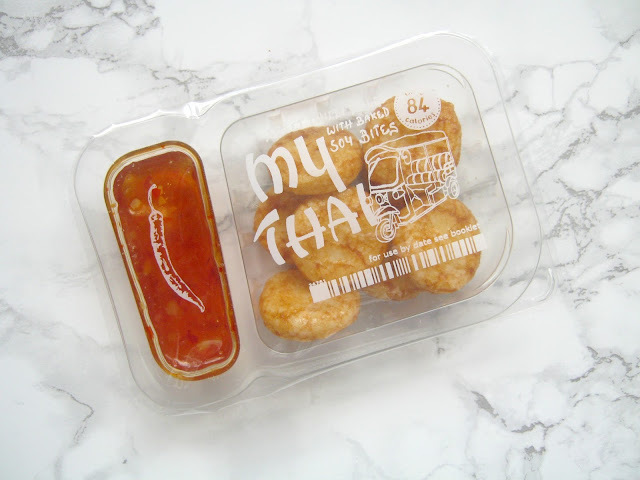 Ohhh I LOVE the My Thai crackers and sauce ... But I love the fact that you can bin anything you don't like !! The brownie is also so so yummy !! Great post my love !